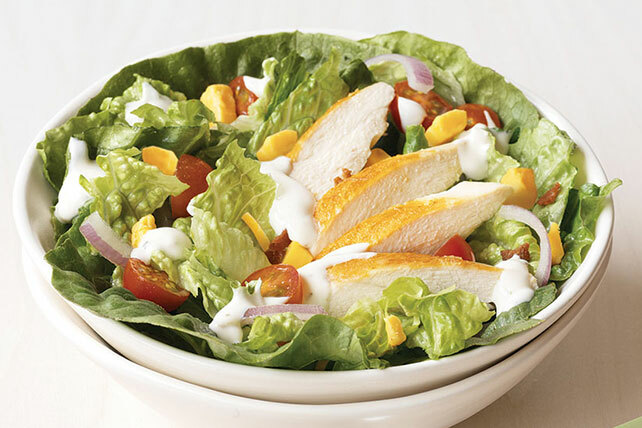 Combine lettuce, chicken, tomatoes, onions and 1/2 cup cheese in large bowl. Substitute 2 pkg. (6 oz. each) OSCAR MAYER Deli Fresh Grilled Chicken Breast for the sliced cooked chicken breasts.